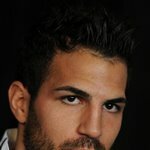 Cesc Fabregas is a Spanish footballer who plays for FC Barcelona and the Spanish national team. 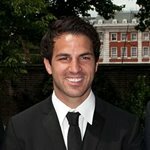 Fabregas plays mainly as a central midfielder but has also played as a winger or a second striker on some occasions. 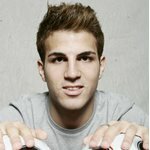 Fabregas started his career as a trainee with Barcelona but was signed by Premier League side Arsenal in September 2003 at the age of 16. Following injuries to key midfielders in the 2004–05 season, he went on to establish himself as Arsenal's starting central midfielder, playmaker and captain. He broke several of the club's records in the process, earning a reputation as one of the best young players for his position. 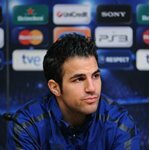 After protracted transfer negotiations, Fabregas returned to Barcelona; the Catalan giants signed the midfielder for an initial fee of €29 million with a further €5 million in variables on 15 August 2011. 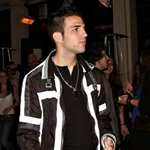 On 24 November 2008, 14 league games into the 2008–09 seasons, Fabregas was named as the successor to William Gallas as club captain. 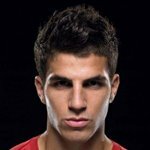 However, just as Arsenal were getting back into the title race after a poor start to the season, the Spaniard was ruled out for four months after sustaining a knee injury against Liverpool. The Gunners eventually finished the season without any silverware, coming in fourth in the league and being knocked out at the semi-finals of the 2008–09 Champions League campaign. 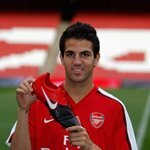 In tandem with Arsenal's policy to groom its young players, the team that Fabregas led into the new season consisted mostly of the same young nucleus as before, with the likes of Nicklas Bendtner, Gael Clichy, Abou Diaby, Denilson, Samir Nasri, Alexandre Song, and Theo Walcott in tow. Fabregas ended his own long goal drought for his club, when he scored his first league goals of the season with a brace against Sevilla FC in a 3–2 away victory. He then scored a further 3 goals in the month of October, coming in the league, Champions League and the Copa del Rey. He scored again on 25 November in a 4–0 win away to Levante UD. On 13 January 2013, Fabregas scored in a 3–1 win away to Malaga CF.